Are you looking for Cheap Accommodation in Workington? Dower House Workington is a a small family run Guest House in Workington with a friendly and relaxing atmosphere built in 1773 and has many original features we offer Cheap B&B Accommodation, conveniently situated in a quiet location 5 minutes walk from Workington town centre and within walking distance of Speedway, Rugby and Football Stadiums. 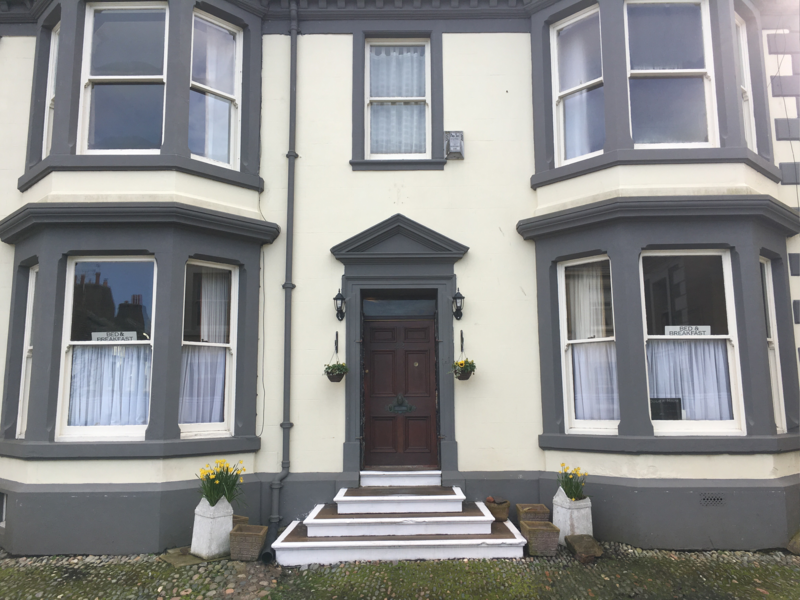 With clean spacious Cheap Accommodation in Workington and comfortable rooms with a Full English breakfast this character Cheap B&B in Workington offers the perfect base to visit Workington, and the surrounding areas. Within a minutes drive from the A66 and walking distance from the train station, this B&B in Workington is perfect for both those visiting the town or commuting elsewhere. Surrounding the property there are several takeaways and eat-in establishments. However within walking distance of the town centre there are numerous restaurants and bars. Workington is the retail hub for West Cumbria and so is a perfect place for some shopping. Within a short drive from the Workington B&B you have access to a wide variety of activities such as the Workington Golf Course and the Zebra Claims, also within a short walk there is the Stadium Borough Park and the Carnegie Theatre..
With many more activities there is no shortage of things to do from the base of the Workington Bed and Breakfast. However for those wanting to explore further the property is just off the A66 and so can act as a perfect base to visit the Northern Fells such as Skiddaw, Bassenthwaite Lake or simply enjoy some of the outdoor pursuits whilst still having all the amenities of a large town this Workington Cheap B&B is the one. With refurnished bedrooms and all rooms have a flat screen TV, with tea and coffee facilities in the guest lounge and Free Wi-Fi is throughout offering you affordable Workington Cheap Accommodation. This Workington Guest House offers a varied breakfast menu served at flexible times you can rest assured that whether you need to grab something quick to go, or enjoy a full tasty meal, This Guest House in Workington will have something for you. With prior knowledge, any dietary requirements can be catered for on special request. There is limited off-Street parking, and within a few minutes walk a large central car park with reasonable prices (free with blue badge) from 6.00pm - 08.00am.